Want around the clock bladder support? 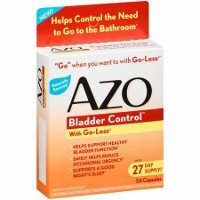 AZO Bladder Control with Go-Less Dietary Supplement will help you worry less about the bathroom. 'Go' when you want to go with Go-Less. With naturally sourced ingredients, AZO safely and effectively supports bladder health.